Blizzard Cochise fans worldwide are raving about the ease and performance of this 108mm big mountain stomper. 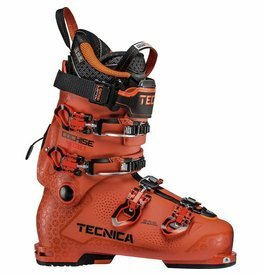 Enjoy its playfull woodcore in powder at the top of the mountain and then, its great stability on groomers at the bottom. Carbon Flipcore combined with camber under foot and a slightly shorter radius sets the standard for precision and stability while 2 sheets of metal, a wood core and vertical sidewalls ramp up the performance in any condition. Add in a higher profile tip with a progressive tip and tail taper, and the soft snow capability can't be beat. Versatile is an understatement - see for yourself! Freeride/All-mountain shape: Traditional, easy turning sidecut creates a perfect all-mountain feel (17-18M @ 180cm). A more aggressive tip shape provides better turn initiation, while more traditional flat tails help to improve stability and flotation.